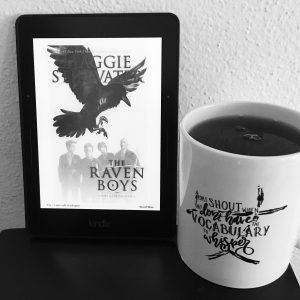 Somehow I own both a mug and a T-shirt with quotes from Maggie Stiefvater‘s The Raven Boys , but had never read it. I opted to correct this oversight and borrowed an copy through my library. I’ll be honest, I have a real hit and miss relationship with Young Adult fiction. But I have been on a real roll so far in 2018 and this is the third series I’ve started an truly enjoyed. Further, I went in not really expecting to love this. It’s so popular and I’m often the odd (wo)man out, disliking what everyone else seems to like. But I got a lot more than I bargained for with The Raven Boys. It was surprisingly snarky, subtly funny, lyrically written and interesting. This entry was posted in books/book review and tagged book review, fantasy, YA on January 30, 2018 by Sadie. 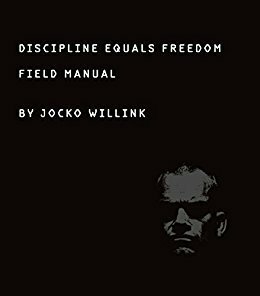 I won a copy of Jocko Willink‘s Discipline Equals Freedom: Field Manual through Goodreads. Jocko Willink’s methods for success were born in the SEAL Teams, where he spent most of his adult life, enlisting after high school and rising through the ranks to become the commander of the most highly decorated special operations unit of the war in Iraq. In Discipline Equals Freedom, the #1 New York Times bestselling coauthor of Extreme Ownership describes how he lives that mantra: the mental and physical disciplines he imposes on himself in order to achieve freedom in all aspects of life. Many books offer advice on how to overcome obstacles and reach your goals—but that advice often misses the most critical ingredient: discipline. Without discipline, there will be no real progress. Discipline Equals Freedom covers it all, including strategies and tactics for conquering weakness, procrastination, and fear, and specific physical training presented in workouts for beginner, intermediate, and advanced athletes, and even the best sleep habits and food intake recommended to optimize performance. Within these pages discover the keys to becoming stronger, smarter, faster, and healthier. There is only one way to achieve true freedom: The Way of Discipline. Read this book and find The Way. It’s not that I think Willink doesn’t have any good points in this book, it’s just that I really, REALLY can’t relate to how he presents any of them. I’ll go out on a limb and say that this is a book written for men. And I don’t just mean because of its yanged out, gung-ho tone (there are women who go for this sort of thing), but because it talks about the benefit of exercise and such as building muscle mass and increasing testosterone, among other things (not generally things women aim for). I’ll go farther and say it’s written for Willink’s fellow soldiers. There’s a section on guns and another on choosing a martial art. Neither of which seem relevant to a standard get fit self-help book, but are right up the alley of aggressive male types. The thing that I found so very alienating about this book though was the framing of everything as a battle. After 20 years as a navy seal, I can understand how Willink came to be this way, but I just find the very idea pointlessly exhausting, wrong, and unnecessary. Many of his points could as easily have been said in less adversarial terms and be just as true. But that’s not the sort of book this is. It’s designed for war-minded men who like the idea of crushing their enemy, even if that enemy is self-doubt, or laziness, or lack of motivation. I’m just really not one of those people. Further evidence (to me) that the book is intended for those who might qualify as meatheads is the way it’s formatted with white text on a black background, with indents and right justifications, and lots and lots of empty space per page. The whole thing reads more like mini-motivational speeches than anything else. As if it’s intended to sit on the coffee table and be opened to a random page for the quick inspirational pick-me-up. I read the whole thing in less than an hour, despite being almost 200 pages long. All in all, I can’t say if this is good or bad, only that it really isn’t for me. I found the whole thing ridiculous, even if Willink’s point that anything you want to do you just have to do is a good one. Too bad he didn’t actually write a book about how to actually accomplish that. This entry was posted in books/book review and tagged book review, non-fiction, self-help, won on January 22, 2018 by Sadie. 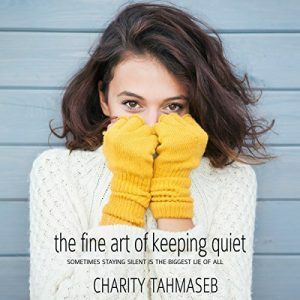 I won an Audible copy of The Fine Art of Keeping Quiet , by Charity Tahmaseb, through AudaVoxx. Sometimes staying silent is the biggest lie of all. Sophomore Jolia does the one thing no one expects from the girl who has perfected the art of keeping quiet. She joins the speech team. Jolia can’t confess the real reason–not to her best friend, her new teammates, or even to crush-worthy rival Sam who offers to coach her in secret. Keeping quiet might be the easy way out, but when what Jolia doesn’t say starts to hurt those around her, it might just cost her a best friend, her spot on the team, and even Sam. But she isn’t the only one with a secret. It’s going to take words–her words–to make things right. If only Jolia can find them. Despite having plenty of elements I disliked, it was also smart and witty, had a clean narrative voice and relatable high school experience. All of which I enjoyed. Additionally, Ashley Klanac did a good job with the audiobook narration. So, end the end I enjoyed listening to The Fie Art of Keeping Quiet, even if I sneered at certain bits of it. This entry was posted in books/book review and tagged audio book, book review, YA on January 22, 2018 by Sadie.